Most of us have a love-hate relationship with Google Chrome. For the longest time, I felt stuck with it despite hating it. It hogged all the RAM in my computer and drained the battery. But in the past few months, I’ve switched to Opera. And you should too, especially if you’re a student. Opera is everything you love about other browsers, but with better features. No matter which back-to-school laptop is best for you, there’s no question about which browser is best. One taste of Opera and you’ll switch in no time. I switched after anyone could get free, unlimited VPN on Opera. A VPN, or virtual private network, is a proxy server What A VPN Tunnel Is & How To Set One Up What A VPN Tunnel Is & How To Set One Up Read More that both allows you to access blocked sites and protects your privacy. Several universities block certain websites. Whatever the reason for it, a VPN can bypass this restriction. Now even among the best VPN services The Best VPN Services The Best VPN Services We've compiled a list of what we consider to be the best Virtual Private Network (VPN) service providers, grouped by premium, free, and torrent-friendly. Read More , you need to be careful about what you use. Some free services have been known to sell your data to others or use your bandwidth without your knowledge. Otherwise, VPNs will limit how much data you can use in a day. On the other hand, Opera’s VPN is secure, respects privacy, and is completely unlimited. You can set your location to United States, Germany, or U.K. Apart from accessing blocked sites, you can also bypass regional restrictions on YouTube and others. Read our detailed review of Opera VPN Get Free Unlimited VPN on the New Opera Desktop Browser Get Free Unlimited VPN on the New Opera Desktop Browser Opera is doing a lot to lure users back, and its latest feature is a doozy. Opera now comes with unlimited, free VPN for life! Read More to find out everything about it. 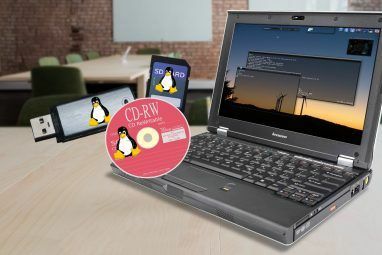 Using a VPN is also an effective way to secure your Wi-Fi connection from others who might try to attack your computer. Wi-Fi network attacks are pretty common and using a VPN makes you more secure 8 Instances You Weren't Using a VPN but Should've Been: The VPN Checklist 8 Instances You Weren't Using a VPN but Should've Been: The VPN Checklist If you haven't already considered subscribing to a VPN to secure your privacy, now is the time. Read More . Plus, Opera Free VPN for Android or for iOS will get you a taste of this VPN service on your smartphone or tablet too [No Longer Available]. Does your laptop’s battery run out before you are done with your work? Battery life is a big issue. And whether you know it or not, Chrome is one of the biggest culprits for this. Recently, our detailed test revealed ditching Chrome for Opera improves battery life How Ditching Chrome For Opera Will Improve Your Battery Life How Ditching Chrome For Opera Will Improve Your Battery Life There's a chance Google Chrome might be your laptop battery life problem. Thankfully, Opera might have the solution, with its built-in battery saver mode. Here's what you need to know. Read More . Even though Opera is based on the same Chromium base code as Chrome, its battery efficiency is far better. Part of the reason for this is the built-in Power Saver mode. It shows as an icon next to the URL bar once you enable it in Settings. You can switch on this Power Saver mode manually at any time. Otherwise, it will kick in automatically once your battery’s health goes below 20 percent. Reducing activity in background tabs. Reducing frame rate to 30 frames per second. Forcing usage of hardware accelerated video codecs. Pausing animations of browser themes. Our tests showed that you easily got another 40 minutes to an hour of battery life once you switch from Chrome to Opera. And when you’re out and about on campus with a full day’s worth of lectures ahead, battery life is king. Advertisements can take the joy out of the web browsing experience. So many websites are filled with annoying, intrusive ads. You don’t want one popping up in a lecture! Understanding this, Opera has included a built-in ad-blocker. The ad-blocker works without any fuss, and is lighter than using third-party extensions like Adblock Plus. Importantly, you are also relying on a corporation like Opera to fight for you. The Opera ad-blocker will stop useless elements of a web page, thus loading it faster. It’s also not unnecessarily aggressive, so it won’t get rid of important elements like social sharing buttons. Here at MakeUseOf, we understand your need to protect your experience. That’s why we make an effort to delete bad, intrusive ads. The rest that are left won’t hamper your experience. Remember, these ads are how you can access MakeUseOf for free, so we request that you whitelist MakeUseOf in your ad-blocker Please Whitelist MakeUseOf In Adblock: A Plea From a Former Adblock Filter Developer Please Whitelist MakeUseOf In Adblock: A Plea From a Former Adblock Filter Developer It’s no secret that we’re not huge fans of Adblock here at MakeUseOf. But we know that some of you won’t let go of Adblock until it’s pried out of your cold, dead hands. If... Read More ! One of the most overlooked features of Opera is its sidebar. Its utility will shock you. Go to Menu > View > Show Sidebar to turn it on. On a widescreen computer, the web page will mostly be wasting a little space on both sides. Turning on the sidebar makes efficient use of this space. Classic Notes — A simple scribble pad to write notes quickly. Google Keep Sidebar — Access the best to-do list app in your sidebar. Side Calculator — A quick calculator so you don’t need to open another. Web Panel — Access the mobile version of any site in your sidebar. Skype Sidebar — Chat with friends with a simple, always-on messenger. Apart from these valuable features, there is much more to love about Opera. Start exploring the browser and you’ll find that it’s brimming with possibilities. Opera Turbo speeds up browsing 4 Cool Features That Make Opera a Browser Worth Checking Out 4 Cool Features That Make Opera a Browser Worth Checking Out Though it's probably known best for it's presence in the mobile space, Opera's desktop browser has always had a good feel to it. It's very fast, responsive, renders well, and is packed with so many... Read More by smartly compressing data, on both desktop and mobile. Speed Dial and Discover are two of the top features of Opera Opera Has Good Features, so What’s the Problem? Opera Has Good Features, so What’s the Problem? There is something holding you back from clicking that "Make Opera My Default Browser" button. What is it? Read More . 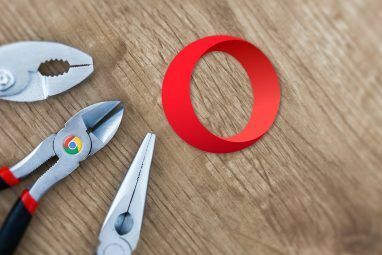 Apart from Opera’s own Extensions, you can install Google Chrome extensions in Opera How to Install Google Chrome Extensions in Opera Browser How to Install Google Chrome Extensions in Opera Browser Opera is making a case for you to switch to it. There's one small problem: extensions. What if you could install Chrome extensions in Opera? It's easy, so here's a quick guide. Read More . 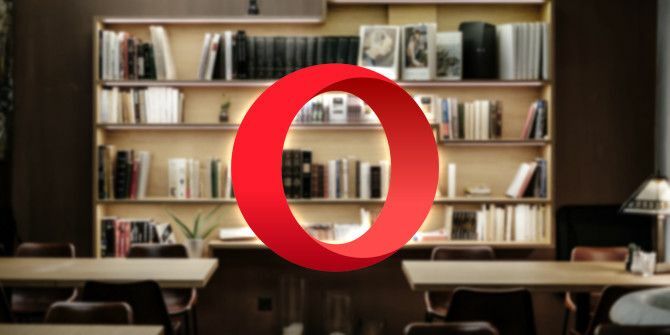 Opera is possibly the best browser right now Which Browser Is Best? Edge vs. Chrome vs. Opera vs. Firefox Which Browser Is Best? Edge vs. Chrome vs. Opera vs. Firefox The browser you're using right now may not be the best one for you. The browser arena changes so frequently that your conclusions from comparisons made last year may be completely wrong this year. Read More , or at least our author for that article thinks so. You can use built-in mouse gestures to browse faster Browse Faster and Better with Mouse Gestures Browse Faster and Better with Mouse Gestures Can't remember keyboard shortcuts? Prefer using the mouse at all times? You'll love what mouse gestures can do for your browser workflow. Read More on Opera. So what are you waiting for? Get the latest version of Opera right away for a better school year. Some nice features, but lacking the ability to quickly create a desktop shortcut to the currently viewed site. Drag and dropping the address doesn't work and right-click has no way to do it and there doesn't seem to be an extension that will make it possible. It's easy to do this with most other browsers but some do require an extension for it. This is kinda a deal breaker for me as I only want to save most of the links for a short time (on the desktop) so bookmarking is only used occasionally. I get what you're saying. I handle this through a solution that actually was a result of another situation entirely. I'm a browser junkie. 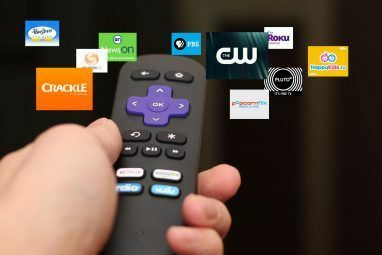 No matter which one I eventually settle down with, I'll sooner or later go off and load up four or five different ones to see what new/better/faster/stronger features each has come out with, and then I'll use them all for a while under different circumstances until I eventually settle on a new winner. Give it a few days or weeks after that and the cycle starts again. Seeing as how that often means I'm using different browsers on different machines, I learned to depend on Pocket to be my universal translator. There have been many multi-platform bookmark coordination apps over the years, but Pocket has been the strongest and most reliable for me. Four or five of those articles are items I believe my son will be interested in. He's on an iPhone 6+, and there's not a really smooth way for me to share from my Chromebook to his phone. It can be done, but there are a few hoops with email and whatnot. Pocket drastically reduces the hoops. I click my Pocket extension icon, the article is saved. Then I pick up my Android phone, open Pocket, click and share the articles, bam! Done! That's how I use it for those temporary links too. At any time, on any of my devices (Android, Windows 10, Linux Mint, ChromeOS) whenever there's a few empty moments, I can quickly pull such up and send it on down the process chain. I get that you prefer putting those links on the desktop. If you're like me it's to keep them right in front of your procrastinating eyes. But your and my processes aren't really that different. Anytime you might think, "I'll glance at the desktop to see what I need to cover next", I'm thinking, "I'll check Pocket to see what I need to cover next". Same song, different verse.